Theatre Spot with PC or Fresnel lens ø 120mm. 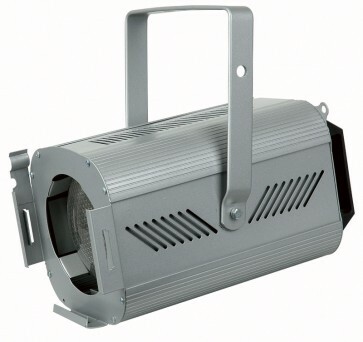 It is equipped with a GY9.5 ceramic lampsocket for 300/500W lamp. The lamp position can be adjusted on the backside by gear-wheel. Including 1 meter silicon cable 3x1mm, plug not included. (Available in black and silver colour.